Pierre is a leading advocate for world hunger alleviation, responsible tourism as well as a spokesperson for the rich culinary history of Africa and its Diaspora. Pierre has been invited as a guest lecturer and guest chef across the globe to speak on these topics. Born and raised in Dakar, Senegal, the bustling and culturally diverse West African metropolis, Pierre pays homage to traditional West African cuisine through his thoughtful approach to food. He is currently the Co-Founder of Yolélé Foods, a purpose-driven African food company launched in 2017 that specializes in African superfoods. 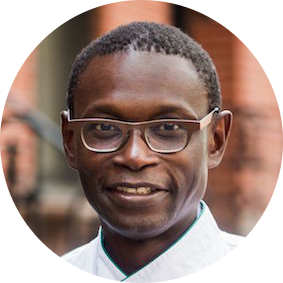 Pierre is the author of SENEGAL: Modern Senegalese Recipes from the Source to the Bowl.